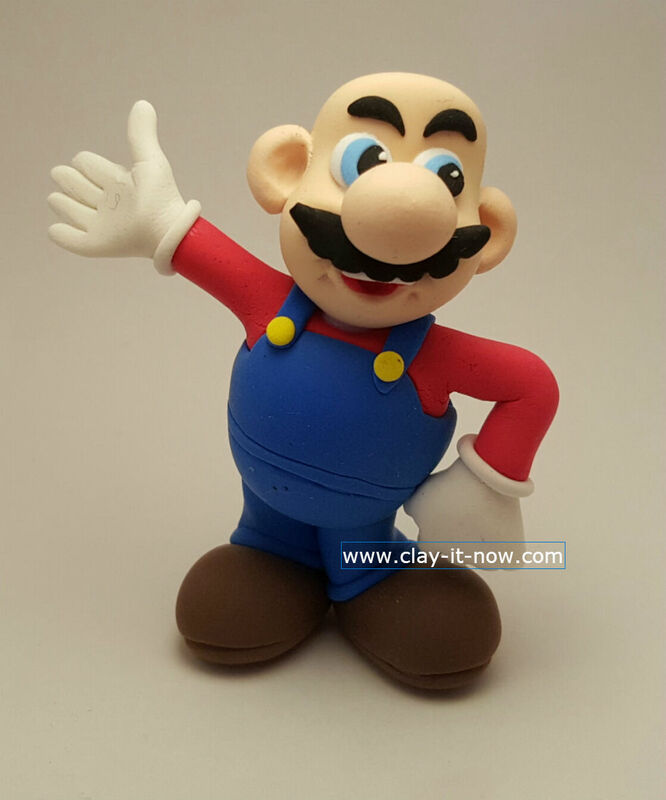 I thought I would keep this Super Mario clay figurine for myself because I feel it is too fat and looks old. 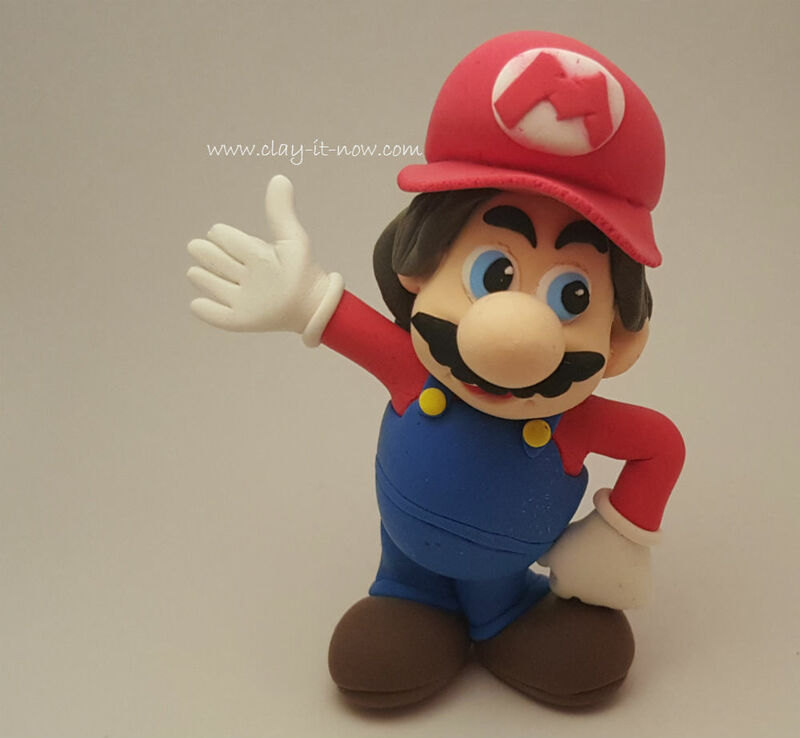 He encouraged me to share the pictures and tutorial at Clayitnow website so anyone of you who wants to make the figurine can follow my steps. Alright then. Let's make the figurine together. Firstly, have you decided the type of clay you want to use? 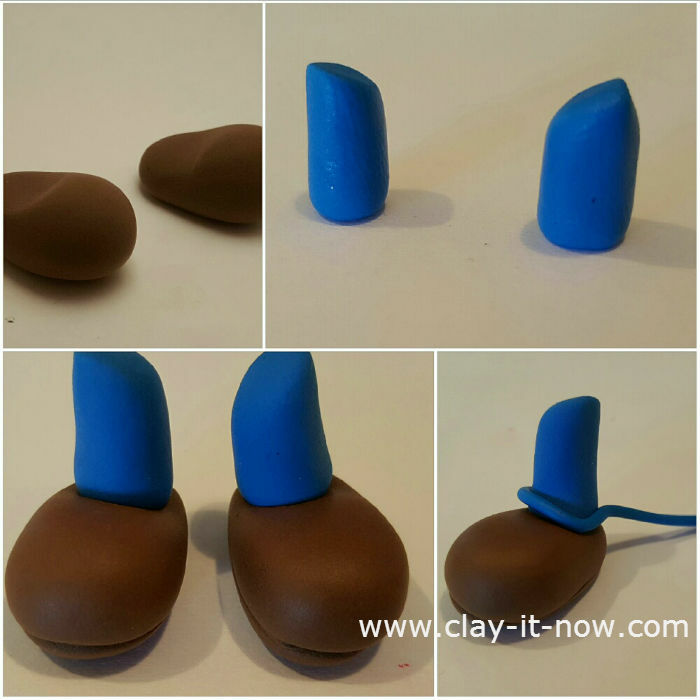 We like our own homemade clay but this time we've decided to use store bought air dry clay. We start working from the legs to the head. In the picture above you'll see we make the shoes with brown color clay. And then the two legs from short pipe clay shape, tapered the top end and paste the other end onto the shoes. Leave this until it's dry completely. Let's continue with the body now. 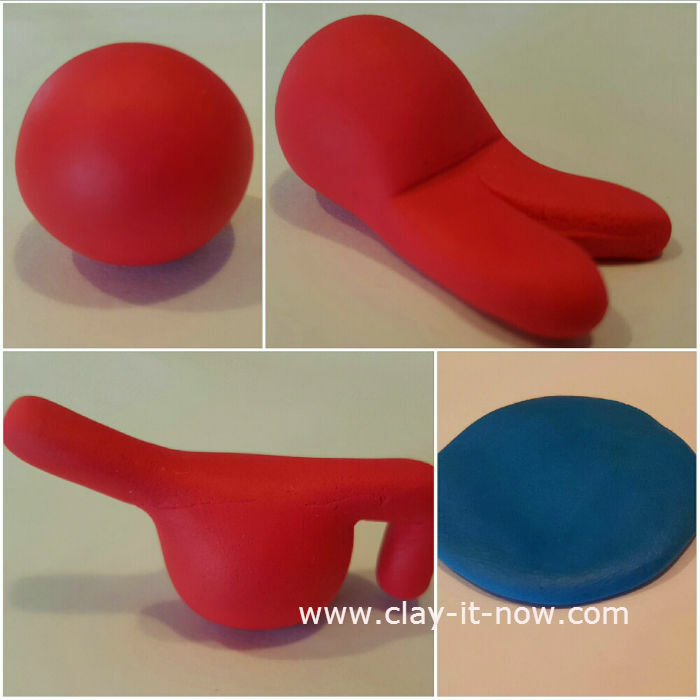 Roll red color clay to a ball shape - choose the size you like. Then change the shape to a teardrop shape, flatten the narrow part of the teardrop and cut the middle part. Shape the two cut pieces of clay like the above picture. 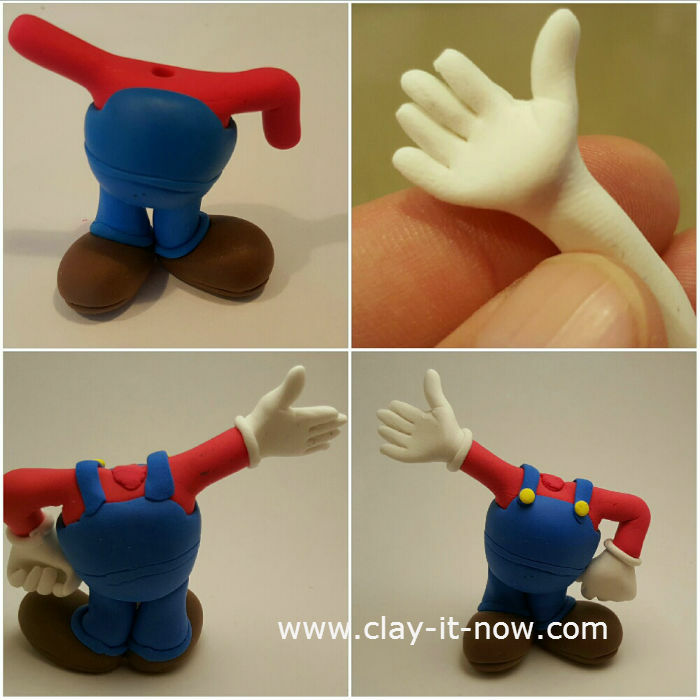 This would be Mario's arms. Again, leave this until it's almost dry. Next, roll the blue color clay to a ball shape, flatten it and wrap around the body. Paste the body to the legs. Paste the hands to the arms with glue. Support the arms/ hands with kitchen towel or facial tissue until it can stand by itself. Now we are making the head and the face. Honestly, this is the most challenging part of the figurine. 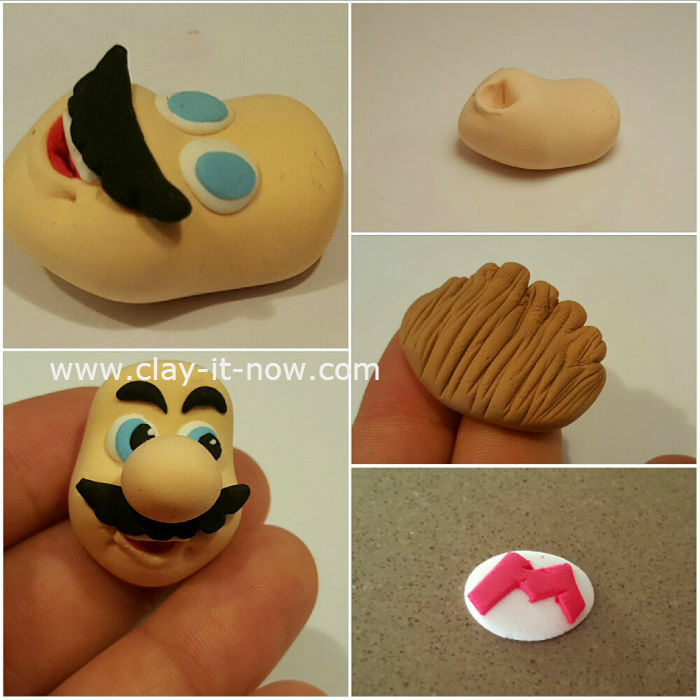 Your overall Super Mario clay figurine depends on how you create the face. As always, start with a ball shape and then shape the face. Use your clay tool to make the mouth. Insert red clay to the mouth hole and add white clay for the upper teeth. After that, make the eyes. I start with white clay, light blue and then black clay. After you've done with the eyes, make the eyebrows. Finally, make the hat with his iconic "M" letter. Well, That's it! All the best with your figurine :) see you soon.